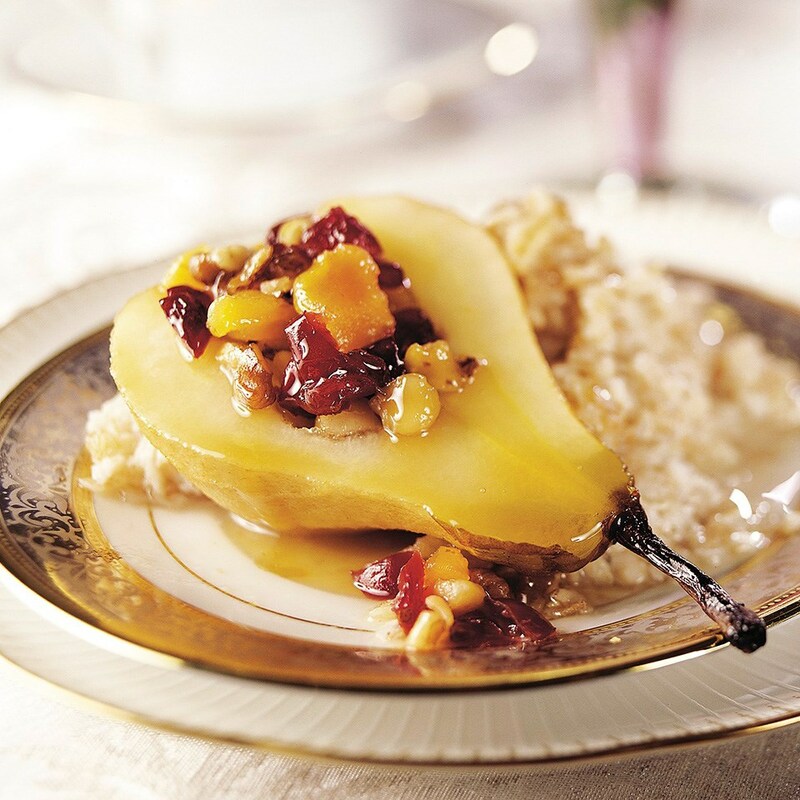 Sweet pears are baked with dried fruit, nuts, and maple syrup, then served with hot cooked cereal for a delicious treat. 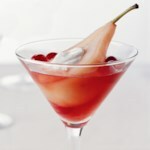 Cut pears into halves, leaving stems intact on 4 of the halves. Remove cores. 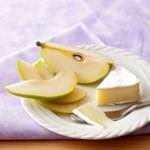 Arrange pears, cut sides up, in a 3-quart baking dish. 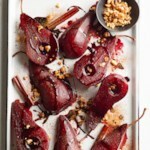 Top pears with desired dried fruit and walnuts. Drizzle pears with maple syrup. Add the pear nectar or apple juice to the baking dish. 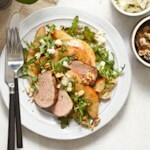 Bake, uncovered, in a 350-degree F oven for 20 to 25 minutes or until pears are tender, basting occasionally with the cooking liquid. 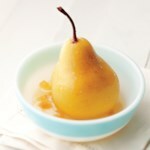 Serve warm pear halves with hot cereal. Drizzle with any remaining cooking liquid.